Slated as an early June release, The Internship tells the story of two guys (wrist watch salesmen I'm thinking) who lose their jobs to the unfortunate medium of technology and decide to travel to California. Their objective: Get jobs at Google and start a new life. The two best friends (Vince Vaughn and Owen Wilson as Billy and Nick respectively) are much older than all the interns at the Google factory and feel out of place at first. But they inject a sort of teamwork aspect that their "Big Brother" team somewhat lacks. This sets off a chain of events and brings everybody closer to their goal of getting full time gigs at what Billy states is "the best job in America." So after viewing The Watch (unnecessarily rated R junk) and The Dilemma (a dark and restless vehicle trying to pass off as comedy), I was a little skeptical about taking in the latest quote unquote "Vince Vaughn movie." I've been critical of this guy in the past because he relentlessly gives the same performance over and over (it started with Old School and he hasn't looked back since). As a result, I'd be lying if I said I had high expectations venturing into the theater to see The Internship. But wouldn't you know it, this film surprised me. It is a refreshing, lightweight comedy that piles on good, solid palatable laughs. Its got a lot of characters in it that win you over. And its got Owen Wilson on board to compliment his best bud Vaughn. Because of this, Vaughn automatically becomes a much more likable actor this time around. The two of them echo back to their Wedding Crashers days by basically playing the same characters (it's like their always on a mission), having sort of similar adventures (Owen gets to be smooth with the ladies again), and making all of us laugh wholeheartedly. But let's be honest, The Internship is no masterpiece. Much of what happens in it does not permeate to real life (there's maybe a 10% chance these guys would be hired at this particular organization full of genius code breakers). This flick feels more like a fantasy than a dose of surmised reality (the term "it's only a movie" applies here like you wouldn't believe). Overall though, this motion picture just wants to have fun. It tells a good story (not a true one mind you), has an outrageous Will Ferrell cameo, and caters to the whole Vaughn/Wilson chemistry thing. And although The Internship strives to be great but comes up a little short, that's okay because it defines the word "harmless." It also has a breeziness to it that's contagious. 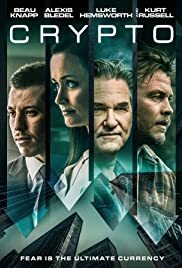 With the exception of a little too much improvisation from the cast (they talk real fast like they're in old 50's movies), what's on screen still gets my recommendation. Reason being is that it sets a gold standard for a PG-13 laugh fast. It does this by teetering on the brink of R rated movie fare while thankfully not going over the edge. It's a welcome surprise when you can giggle and snarl in the theater without the abundance of cuss words. With the summer movie season concluding over three months ago, The Internship doesn't quite fit the mold of a huge bloated blockbuster like we see every year (yes I'm talking about Transformers). But for what it's worth, I enjoyed myself for two straight hours. It's not easy to make a film where everything comes together perfectly (you know script, direction, editing, music, etc...). So to sum up my review, I'd say yes, this film has many flaws. But for laughable escapist entertainment, it undoubtedly does the trick.